Need a new boiler in Teignmouth? Get FREE no-obligation quotes now! "boiler repair" "worcester" 'powerflush' boiler repair' 'boiler installation' 'gas engineers' 'boiler servicing' 'heating engineer' "plumbers" "LPG"
West Country Plumber are a Gas Safe certified boiler installer based in Exmouth, Devon. Welcome to Just Gas Ltd, Heating Engineers in Devon The home of your local heating and plumbing engineers. 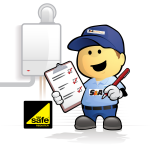 Local Gas Safe registered engineers specialising in the repair and servicing of domestic gas boilers. We Offer a friendly personal service. SJG Energy Solutions is a small family run business based in Paignton, Devon. Our aim is to provide high quality work at an affordable price. Current Boiler: None. Install within 1 month. Contact anytime. We have an oil boiler and would like it serviced. Ideally, I would like the Worcester Bosch Greenstar 34CDi Classic Combi Gas Boiler as a replacement for my existing boiler. Service of gas boiler and unvented hot water tank system. I have an envi warm electrical warm air boiler and it currently doesn't give us the heat it used to. the present boiler is an external vortex eco 16-21 wall system. I don't know if this is the right thing, or if internal is better. It has lasted only 8 years. Current Boiler: Ariston. 12 years old. Faulty - Not working. Repair ASAP. Contact between 9am - 12pm.